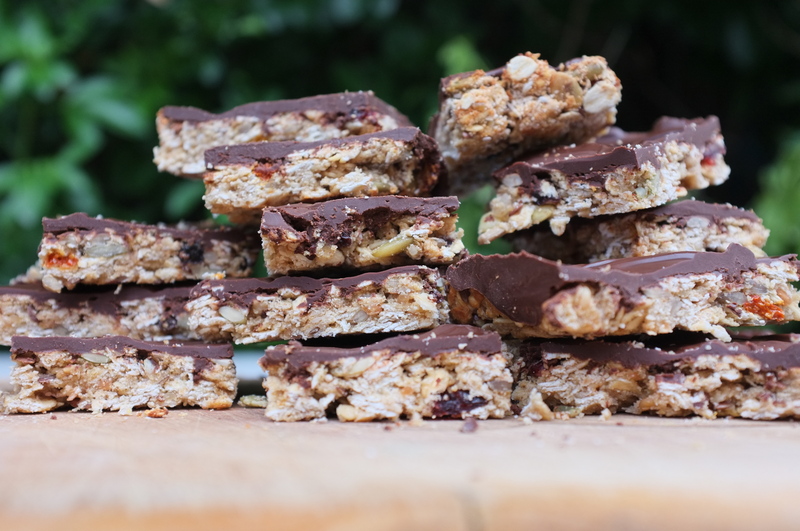 This homemade chocolate muesli slice is free of refined sugars is dairy free and delicious. A small sweet treat the whole family can enjoy as an occasional afternoon snack, mid-morning snack or as a re-fuelling energy bar after a challenging workout. A complete nutritious food packed with anti-oxidant properties from the chocolate, macronutrients such as fibre and protein as well as micronutrients such as zinc and magnesium. Quick and simple to make, this muesli slice is a very healthy alternative to store bought varieties. 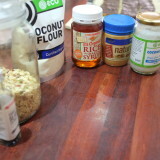 In a large mixing bowl, add the muesli and coconut flour and set aside. In a separate small bowl, mix the wet ingredients by first lightly beating the eggs, then stir in the peanut butter, rice syrup and vanilla extract. Add the wet ingredients to the dry ingredients and mix well. The mixture will appear as if needs more liquid but avoid adding anything extra as it doesn't need it. Press the mixture into your tin and bake in a hot oven at 180 degrees (or 170 degrees fan forced ovens) for 15-20mins. It will be set but not solid and look golden brown. While your muesli slice is baking, roughly break up the chocolate in a microwave safe bowl, add the coconut oil and cook on high for 1-2mins. Stir thoroughly and allow to cool. Do this process 1min at a time to avoid burning the chocolate. As the chocolate sauce cools it will thicken. Allow your muesli slice to cool to the touch then evenly spread the chocolate over the top and refrigerate until set. When your ready, remove the slice from the tin by lifting it out with the baking paper onto a chopping board and carefully cut into small squares - makes 18 bite size calorie controlled gems ready to be devoured.